This fascinating read collects true stories of infamous shootouts and other colorful episodes that occurred in the Ozarks region between the 1860s and 1950. Wild Bill Hickok, the Youngers vs. the Pinkertons, Bonnie and Clyde, and many more are featured. 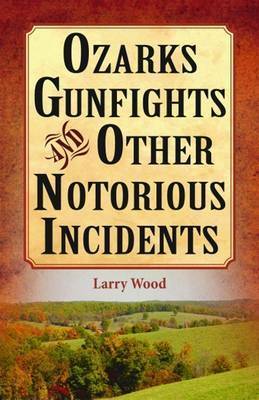 Award-winning author Larry Wood is an avid writer with a strong passion for the Civil War and Ozarks history. In addition to penning several books on these subjects, he has contributed articles to publications such as Show Me the Ozarks Magazine, the Ozarks Mountaineer, Missouri Life, and Ozarks Reader. Wood is a member of the Joplin Writers Guild, Missouri Writers' Guild, the Ozarks Writers League, and the Joplin Genealogy Society. 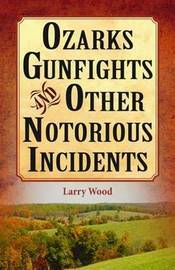 The author of Pelican titles Ozarks Gunfights and Other Notorious Incidents and Desperadoes of the Ozarks, Wood lives in Joplin, Missouri.